Statue Of Donatello, An Italian Renaissance Sculptor From Florence, In The Uffizi Colonnade In Florence, Italy. Lizenzfreie Fotos, Bilder Und Stock Fotografie. Image 111725957. 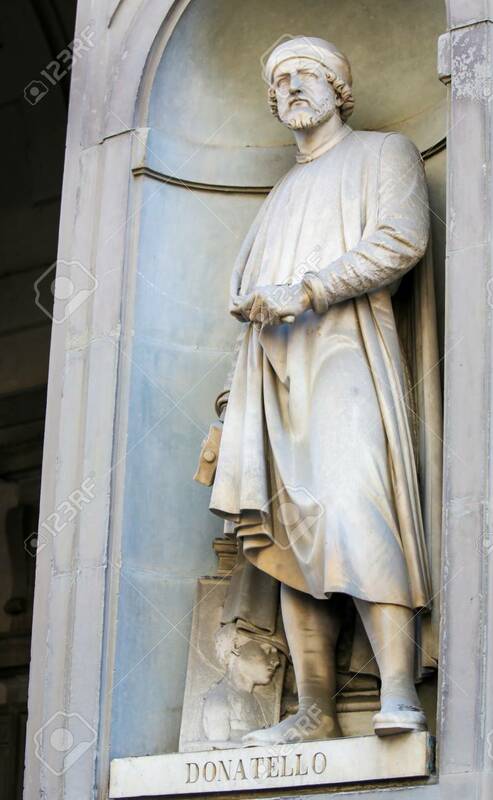 Standard-Bild - Statue of Donatello, an Italian Renaissance sculptor from Florence, in the Uffizi Colonnade in Florence, Italy. Statue of Donatello, an Italian Renaissance sculptor from Florence, in the Uffizi Colonnade in Florence, Italy.